Christian Stehno is CEO and co-founder of CoSynth. 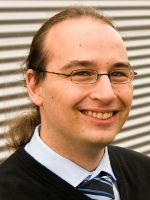 Before founding CoSynth, he worked as a researcher at OFFIS - Institute for Information Technology in Germany from 2006 to 2010. During this time he worked on developing the modelling and synthesis technology which is now the core of the CoSynth design tools. Before joining OFFIS, he was working as a research assistant and lecturer at the University of Oldenburg. He holds a Dipl.-Inform. degree in Computer Science from the University of Oldenburg, Germany. Andreas Herrholz is responsible for the further development of CoSynth's design methodology and takes care of the provided design and consulting services. 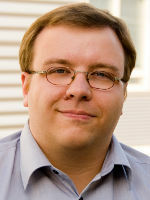 Before co-founding CoSynth he worked at the OFFIS-Institute for Information Technology in Oldenburg, Germany from 2006 to 2010. During this time he was doing research on the design of reconfigurable hardware systems and developed parts of the synthesis technology which is now included in CoSynth's design tools. He also served as technical coordinator of a European research project and gave lectures and tutorials on SystemC. Before joining OFFIS, he worked as an FPGA-design-engineer at Siemens Communications. He holds a Dipl.-Ing. and master degree in information technology from the University of Rostock, Germany. 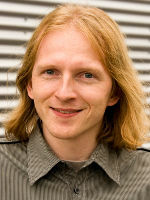 Henning Kleen is co-founder of CoSynth and responsible for design tool development. Before joining CoSynth he worked as a researcher at the OFFIS-Institute for Information Technology in Oldenburg, Germany from 2007 to 2010. During this time he worked on SystemC-based design methods for digital and mixed-signal hardware systems. He also developed parts of the synthesis technology for object-oriented hardware design which is now part of CoSynth's design methodology and tools. He holds a Dipl.-Inform. degree in computer science from the University of Oldenburg, Germany.